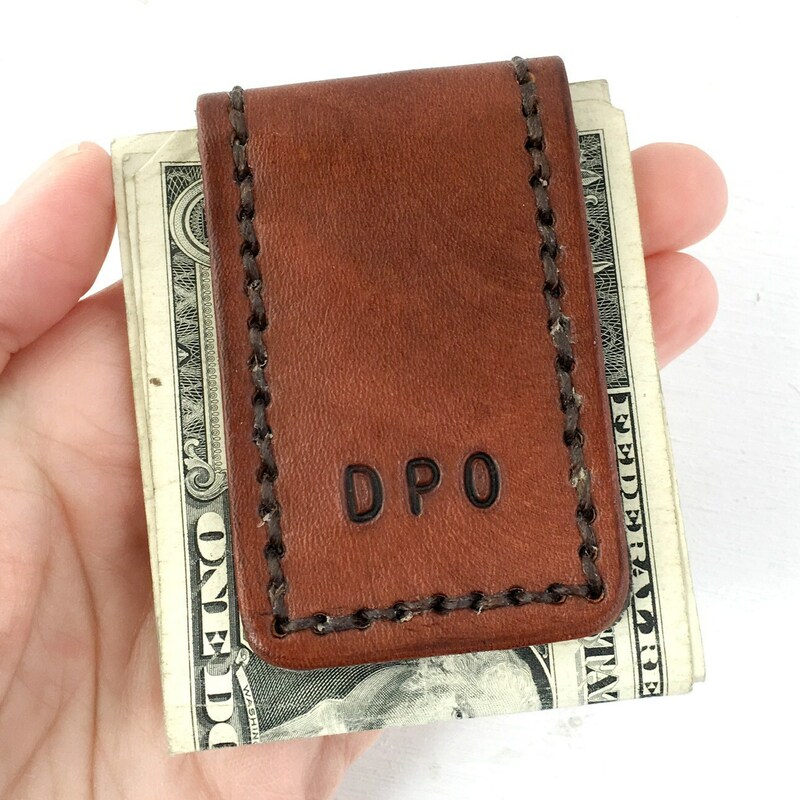 Keep your cash easily accessible in this leather magnetic money clip. Dyed and hand stitched. Holds up to 15 folded bills. This money clip is not intended to hold credit cards! The magnet will affect the strip on your Credit card. Every piece of leather absorbs dye differently. Your clip may look slightly different than the one shown here. Contents not included. Measures 1-7/8" x 3" when folded. Tell me your initial(s) in the "Notes to Seller" box at checkout.